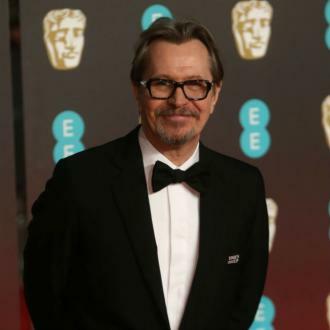 Gary Oldman is predicted to scoop his first Oscar on Sunday (04.03.18). The 59-year-old actor’s portrayal of Sir Winston Churchill in ‘Darkest Hour’ has been tipped by search engine Bing.com to bag the prestigious accolade, with a 56 per cent chance. The ‘Dark Knight’ star was previously nominated for an Academy Award for ‘Tinker, Tailor, Soldier, Spy’ in 2012, but he lost to Jean Dujardin for ‘The Artist’. Oldman is up against Daniel Day-Lewis (‘Phantom Thread’), Denzel Washington (‘Roman J. Israel, Esq.’), Timothee Chalamet (‘Call Me By Your Name’) and Daniel Kaluuya (‘Get Out’), but has already landed a Golden Globe and a BAFTA for his latest role. As for the Best Actress category, the same prediction has been made for Frances McDormand and her gripping performance in ‘Three Billboards Outside Ebbing, Missouri’. The 60-year-old actress will go up against Meryl Streep (‘The Post’), Sally Hawkins (‘The Shape of Water’), Margot Robbie (‘I, Tonya’), Saoirse Ronan (‘Lady Bird’). Elsewhere, Bing’s algorithms also has Roger Deakins as a strong contender to nab Best Cinematography for ‘Blade Runner 2049’. And Best Make-Up and Hairstyling for Lucy Sibbick and David Malinowski for their work transforming Oldman into Churchill, and Best Sound Editing by Alex Gibson in Christopher Nolan’s war thriller also based on the late British Prime Minister and his victory over Adolf Hitler during World War II. The 2018 Oscars will be hosted by Jimmy Kimmel at The Dolby Theater in Los Angeles.